If I wrote the word ‘LOVE’ in the middle of a blank sheet of paper, and asked you to jot down what came to mind when you read it, what would you put? Perhaps your boyfriend’s name? Maybe a cartoon caricature of your partner? Would you write the words ’25 YEARS’ surrounded by a heart, or would you write ‘NOT FOR ME!’ or ‘NEVER AGAIN!’? 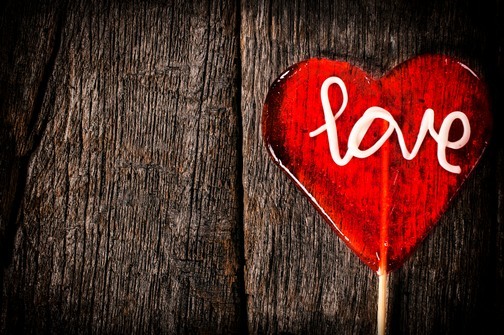 Is love a ‘plus’ for you, or a thorny subject at the moment? Whatever your relationship status, whether you are happily paired, taking a break from being with another or getting over a painful breakup, the subject of love may well stir powerful emotions from either the past or present. In the counselling room, sometimes clients speak about their relationships with significant others, and most often what stands out to me is not the physical attraction of one person to another, but the quality of the connection between the two halves of the partnership. When we examine what the client has influence over in the relationship – what they have the power to change – we find that they cannot one iota change their partner’s behaviour or way of doing things. The client only has influence over their own behaviour and attitude. Once this is agreed upon and accepted as a fact, work can begin on examining the client’s response to their partner’s way of being. Several times I have worked with clients who have decided to redouble their efforts at loving their other half (in a practical, everyday kind of way), while maintaining firm boundaries to do with what they find acceptable in the relationship and what they do not. This ‘carrot rather than stick’ approach often yields better results in terms of improving the quality of the connection between two people than a list of demands presented to the offending partner. The more I work with those struggling with relationship issues, the more I feel that the key to a successful long term alliance has more to do with giving than getting. If you are in a relationship at present, what could you do to show your other half how you feel about them? If you’re not currently hooked up, is there anything you might like to change about the way you approach your next partner?